The construction began in the early 1950's and was first operational in 1955 with a traditional screen. In 1960 the screen was rebuilt and enlarged for anamorphic projection and finally during the early 1970's it was rebuilt once again for 70mm screenings with new Meopta UM 70/35 projectors. Besides many cultural events there was an "Workers Film Festival" (FFP) held each year, which was very popular and massively attended. A record of maximum attendance for one event reached the number 20.000 in 1976 while showing of "Jaws". When a nearby motorway was built in the early '80's, it cut out a part of the amphitheatre, but even after that it could still handle an audience of around 10.000 with around 4.000 in standard seating. After the fall of the regime in 1989 and changes in film distribution the amphitheatre suffered from a lack of audience, just like many other cinemas and the last film screenings were in 1996 or 1997. After many years and changes in town cultural organisations in 2008 the municipality decided to sell the place as unnecessary property and plans were to demolish the amphitheatre and replace with residential buildings. Thanks to a few activists who believed it could serve it's original purpose again this did not happen. Their fight took several years until a new agreement could be achieved between the municipality and a new tenant which is now responsible for reconstruction works. New official screenings and music festival shows began in 2014 with very good responses. Eventually we were able to reconstruct the original projectors into fully operational state with a large help from our friends. Mainly Mr. Pavel Tomesek from Krnov must be thanked here. 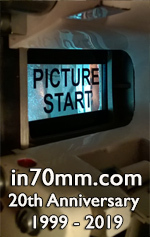 We even added a DTS system for 70mm to be able to show DTS titles. 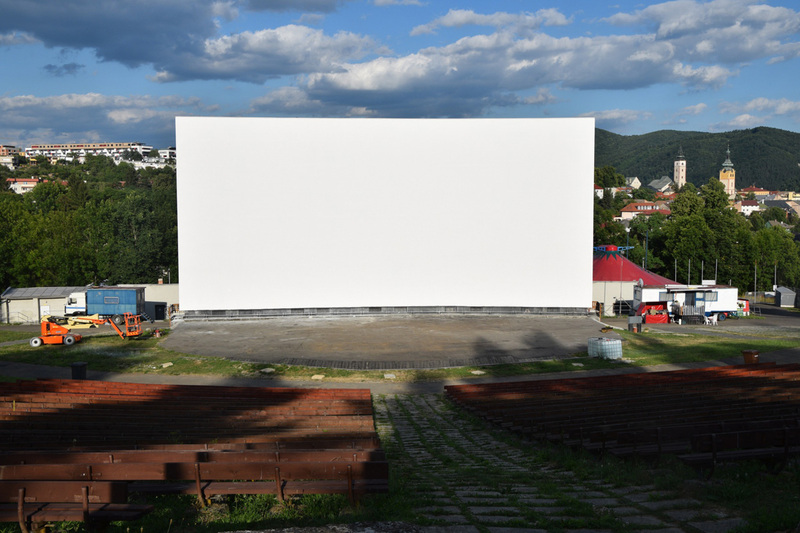 The two interesting things about this amphitheatre is that according to our information, it's now the only 70mm open air cinema in operation in Europe and also has the largest screen with operational 70mm projection that we know of. The screen is 32m wide and 15m in height.